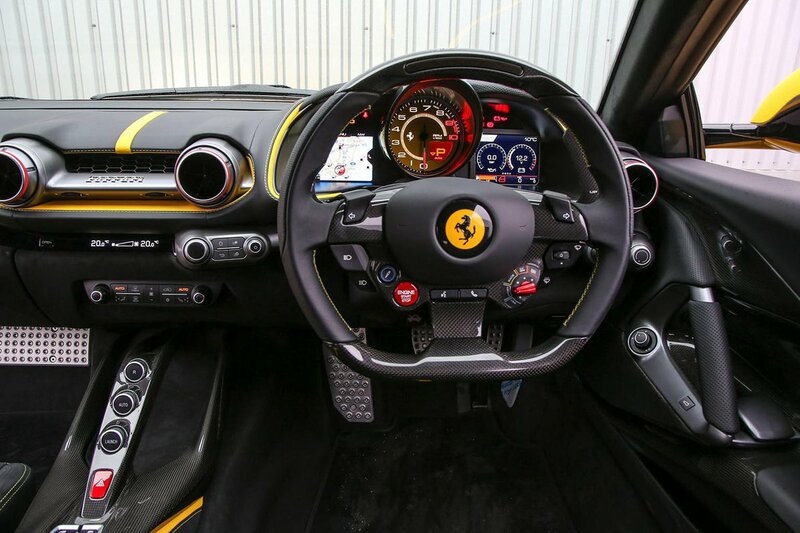 Ferrari 812 Superfast Interior, Sat Nav, Dashboard | What Car? With so much power at your disposal, a perfect driving position is essential. Good news: the 812’s standard sports seats get plenty of adjustment and so does the steering wheel. The optional carbonfibre racing seats and racing harness hold you in place extremely well, but they aren’t as adjustable. The 812 is a very long, very wide car that also happens to cost a lot of money, so at least you get a good forward view from behind the wheel. Of course, the view over your shoulder in this strict two-seater isn’t as good, although the door mirrors are a decent size, while front and rear parking sensors are standard to help guide you into parking spaces. Bright LED headlights are standard for good visibility at night, too. Ferrari’s infotainment system is limited to a small colour screen and a rotary controller to the left of the steering wheel that you twist to scroll through the on-screen menus. Sat-nav, DAB radio and Bluetooth are all included as standard, but the system isn't as easy to use as the system in the McLaren 720S. And – be careful not to spit your tea all over the keyboard – Apple CarPlay smartphone mirroring is a £2k-plus option. A second screen on the right side of the steering wheel displays the trip computer and provides in-depth driving information. 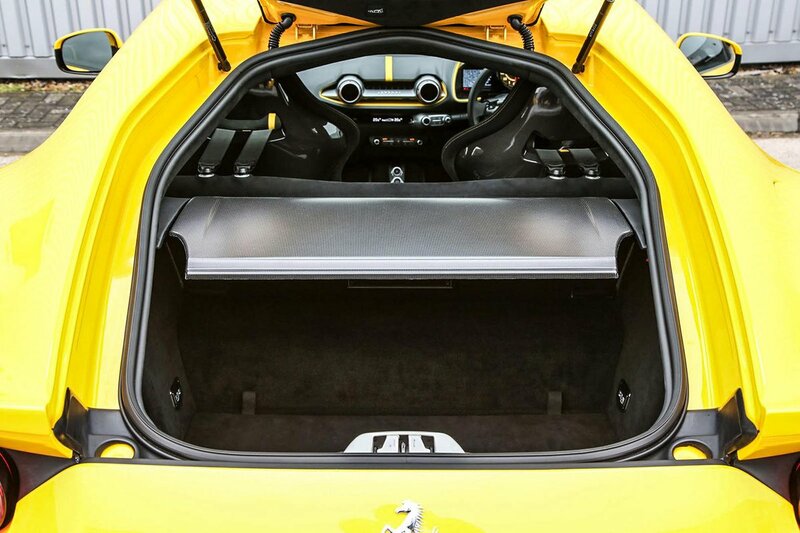 You could argue that the 812 is all about the driving experience, so interior quality isn't crucial. 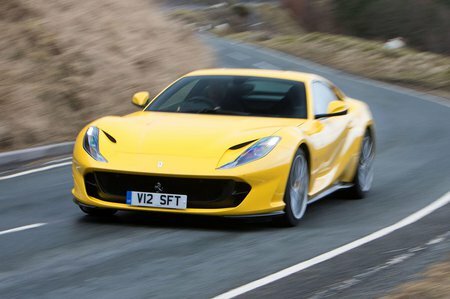 However, when you’re spending this much money, quality has to count – especially since the 812 purports to be a GT car. Ultimately, McLaren and Aston Martin show Ferrari up in this respect.